Prada stores carry a few obscenely expensive items in order to boost sales for everything else (which look like bargains in comparison). People used to download music for free, then Steve Jobs convinced them to pay. How? By charging 99 cents. That price has a hypnotic effect: the profit margin of the 99 Cents Only store is twice that of Wal-Mart. Why do text messages cost money, while e-mails are free? Why do jars of peanut butter keep getting smaller in order to keep the price the "same"? The answer is simple: prices are a collective hallucination. 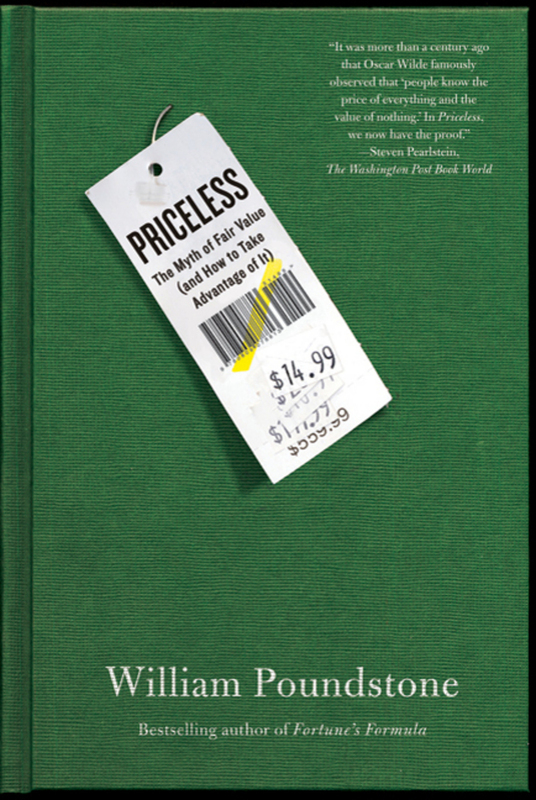 In Priceless, the bestselling author William Poundstone reveals the hidden psychology of value. In psychological experiments, people are unable to estimate "fair" prices accurately and are strongly influenced by the unconscious, irrational, and politically incorrect. It hasn't taken long for marketers to apply these findings. "Price consultants" advise retailers on how to convince consumers to pay more for less, and negotiation coaches offer similar advice for businesspeople cutting deals. The new psychology of price dictates the design of price tags, menus, rebates, "sale" ads, cell phone plans, supermarket aisles, real estate offers, wage packages, tort demands, and corporate buyouts. Prices are the most pervasive hidden persuaders of all. Rooted in the emerging field of behavioral decision theory, Priceless should prove indispensable to anyone who negotiates. William Poundstone explains the psychological trick of anchoring and how it works on eBay. William Poundstone is the author of two previous Hill and Wang books: Fortune's Formula and Gaming the Vote.